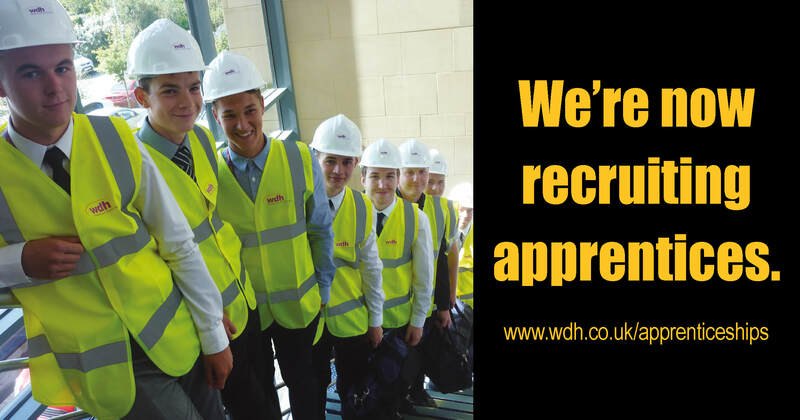 Four apprentices have signed permanent contracts with WDH following three-year trade apprenticeships. The group - 19-year-old plasterer Andrew Rhodes, 24-year-old bricklayer Todd Williams, and joiners Gareth Box, 23 and Brandon Kane, 22 – join the organisation having gained level 3 qualifications in their chosen trades. 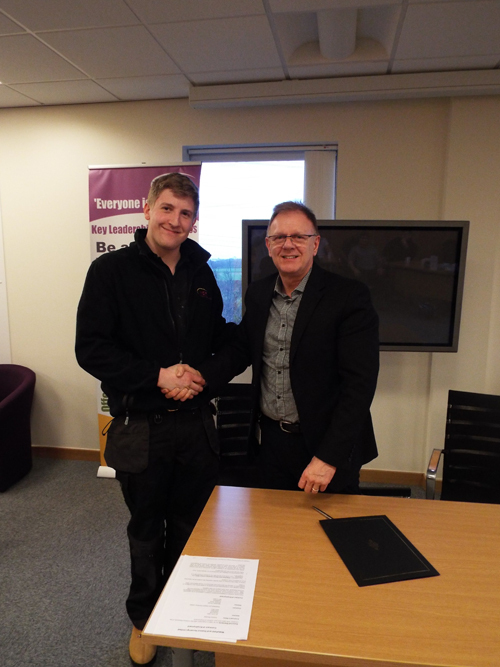 Kevin Dodd, WDH Chief Executive recently joined the men to wish them well and co-sign their contracts. 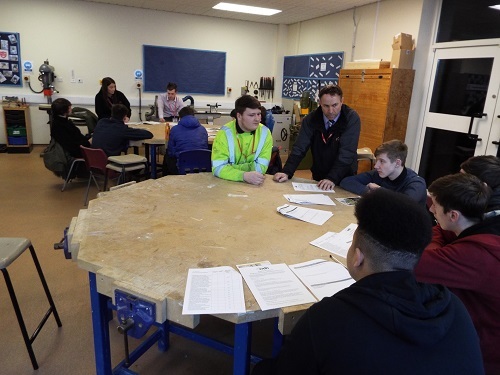 Whilst undertaking their apprenticeships Brandon and Todd both helped WDH promote the organisation’s vocational training programme by hosting school talks and taking part in the 2014 Brathay Apprenticeship Challenge. 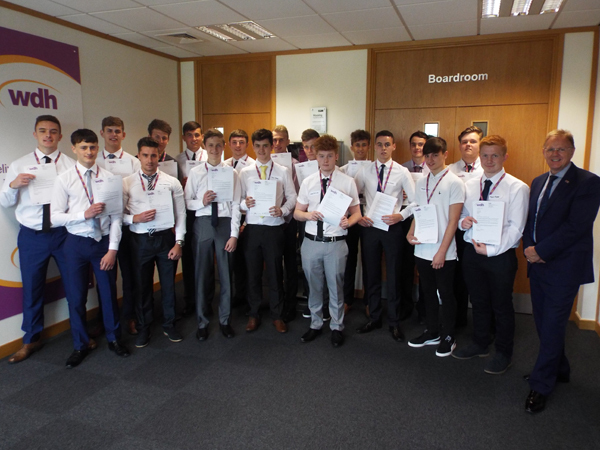 18 trade apprentices join WDH18 apprentices have joined WDH as part of the organisation’s 2015 apprenticeship scheme.